Editor’s note: This is the third in a series of 14 team previews on NASCAR.com. Next up: JTG Daugherty Racing on Feb. 5. A list of team previews already published is at the bottom of this story. 2017 standings: Michael McDowell finished 26th in the No. 95 Chevrolet in 2017 before heading to Front Row Motorsports. Kahne, McDowell’s replacement, was 15th in the season’s final point standings driving the No. 5 Chevrolet for Hendrick Motorsports. 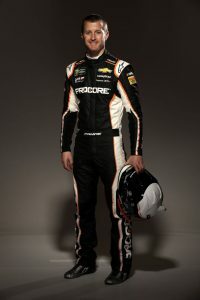 What’s new: Kahne comes over from Hendrick Motorsports after spending the past six seasons there. He went through a victory drought of 102 races before breaking through at Indianapolis last season and advancing to the NASCAR Playoffs. At Hendrick, Kahne compiled six of his 18 career wins in the Monster Energy Series and finished as high as fourth in the final standings (in 2012). He will pair with a new crew chief in Mack, who was the car chief for the No. 88 of Dale Earnhardt Jr. since 2015 and saw some action as an interim crew chief. Also, all Chevrolet teams will be adjusting to the new Camaro ZL1 introduced this season. What to watch: Kahne’s competitiveness. He showed at Indy that he still has the skills to get to Victory Lane, but that was with Hendrick, where arguably he didn’t meet high expectations. Now he’s with an upstart team where a lot of new parts will need to come together quickly if he’s to pick up where he left off as a driver capable of making a run to the playoffs. A slow start might be inevitable, but how the team comes together after that could be a huge factor in whether Kahne is a legitimate playoff threat. Key question(s): Can Kahne thrive now that the pressure is off at Hendrick? This might be one case where a change of scenery from a powerhouse team to a smaller team could work out well. Kahne arrived at media tour in Charlotte seemingly in a relaxed mood, and he gets a fresh start. Now if he nabs a top-10 finish it will be a good day instead of what was expected. Then, the challenge will be to build upon that. Kasey Kahne, No. 95 Procore Chevrolet: The Enumclaw, Washington, native joins his fifth Monster Energy Series team since making his debut in 2004 for Evernham Motorsports in the No. 9 Dodge previously driven by NASCAR Hall of Famer Bill Elliott. He posted a career-high six victories in 2006 for Evernham before moving to Richard Petty Motorsports in 2009. Kahne also had a stint with Red Bull Racing before moving to Hendrick Motorsports in 2012. Kahne has 18 career victories, 92 top-five finishes, 175 top-10 finishes and 27 pole wins in 504 career races on the Monster Energy Series level. Kahne’s 18 wins tie him with Joey Logano and Ryan Newman for seventh place among active drivers. His 27 poles are tied with Kyle Busch for third among active drivers. Some of Kahne’s career highlights include three victories in the Coca-Cola 600 at Charlotte Motor Speedway and the Brickyward win last year at Indianapolis. Kahne got his start driving sprint cars in Washington, and he currently owns a sprint car team, Kasey Kahne Racing in Mooresville, North Carolina.